Traffic crashes jumped more than 600 percent in Los Angeles County Saturday morning, compared to the same period last Saturday when roads were dry. A late-winter storm wreaked havoc on Southern California on Saturday as power was knocked out to more than 13,713 Southern California Edison customers and traffic crashes along L.A. freeways skyrocketed. Forecasters predict up to 1.5 inches of rain falling in Los Angeles this weekend. The storm is expected to dampen Sunday's LA Marathon and is keeping engineers and residents in San Pedro vigilant about a landslide that could worsen due to the deluge. The most rain recorded by mid-day Saturday was nearly 2 inches at Circle X Ranch near Point Mugu in Ventura County. Downtown Los Angeles saw just over a half inch; Long Beach had .39 inches; Simi Valley: .41 inches; Palmdale: .34 inches; Brea: .55 inches; Irvine: .32 inches. Hail and thunderstorms were forecast around the metro area. Snow levels were expected to drop to about 2,500. 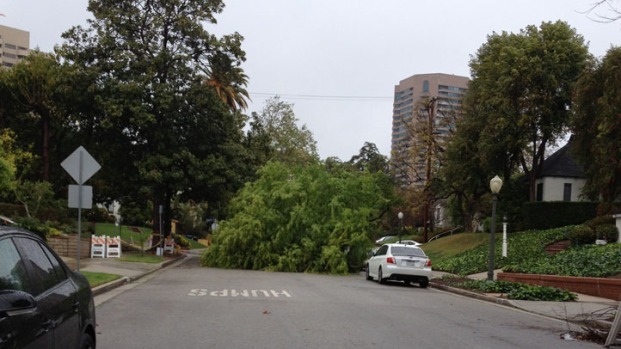 A tree was knocked down in Westwood, but no major problems were reported. 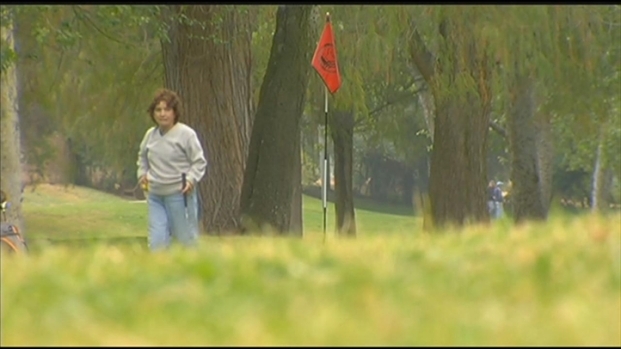 Click the video above to see the full weather forecast for Saturday, March 17, 2012 with NBC4's Carl Bell. Traffic crashes spiked, the California Highway Patrol said. Some 422 crashes were reported in Los Angeles County between 5 a.m. and 10 a.m., CHP Officer Tatiana Sauquillo told the San Gabriel Valley Tribune. During the same period a week ago, when the weather was dry, 58 collisions were reported, she said. Police were vigilant about traffic issues along the Grapevine section of Interstate 5 near the Tejon Pass, which tops out at 4,160 feet. More than a foot of snow is expected at the local resorts. The gentle stream of the LA River will likely become a torrent of water when the rain arrives later Friday. In advance of that, preparations are underway to lessen Mother Nature's impact. Jesse Gary explains what's being done. 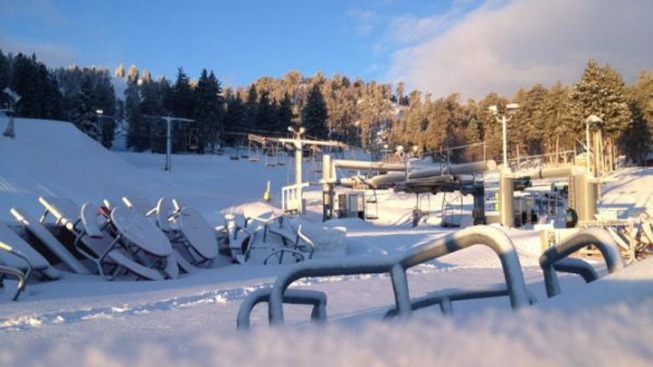 Snowboarders and skiers hit the slopes at Mountain High in Wrightwood as a fresh layer of up to 3 inches fell. The resort expects a foot to fall by Sunday. Chains were required on all routes to Big Bear including Highway 38 through Redlands. Angeles Forest Highway and Upper Big Tujunga Canyon Road will be closed through Angeles National Forest. Angeles Forest Highway also will be closed between Aliso Canyon Road ando Upper Big Tujunga Canyon Road, and Upper Big Tujunga Canyon Road will be closed between Angeles Forest Highway and Angeles Crest Highway. A high surf advisory with a high rip current risk was in effect until 3 a.m. Monday for the beaches along the Los Angeles County coast. The surf could range between six to eight feet, with max sets up to nine feet, on exposed west-facing beaches. The highest surf was expected by Saturday afternoon. A flood advisory was in effect in Ventura. Pasadena firefighters were giving away sand and sandbags to residents in the foothills where up to 3 inches was expected. Bags and sand will be available on a first-come, first-served basis at Fire Station 37 at 3430 E. Foothill Blvd. and at Station 38 at 1150 Linda Vista Ave.
As steady downpour and gusty winds swept, volunteers were preparing for Sunday’s LA Marathon, rain or shine. Prepping for rain this year is familiar to them as rain dropped during the Marathon last year. Los Angeles County officials will activate the Emergency Operations Center at 6 a.m. Sunday for the Marathon. The EOC will stay open until after the race. Officials will begin closing streets at 4 a.m. Sunday for the early stages of the event, with most streets along the 26-mile, 385-yard course scheduled to be reopened by noon. Residents and city engineers, meanwhile, were keeping a close eye on a landslide in San Pedro that hit in November along Paseo del Mar. So far, the landslide was stable. Homes several hundred feet east of the area didn’t appear to be threatened.